The departement of the Alpes Maritimes - Pop. : 6.217 h.
onto route N7 (Moyenne Corniche) or route N98 (Basse Corniche). 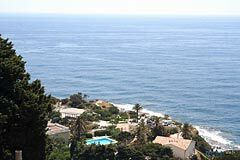 Cap d'Ail stretches along a peaceful part of the coast, at the border with the principality of Monaco. 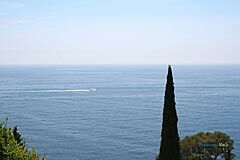 When you arrive take the road that overlooks the coast until you reach the Tete de Chien viewing point from where you will have a superb panorama of Italy and the Var coastline. Of the 3, Marquet beach is best for families. It slopes down gently to the sea and is easy to reach. It has a yacht club and 2 restaurants. Mala beach is surrounded by vegetation and can be reached by foot along a narrow path. It also is suitable for families and has 2 restaurants. Pissarelles beach is for the more athletic visitor. It is surrounded by rocks and is reached along a path that is a little difficult for children. 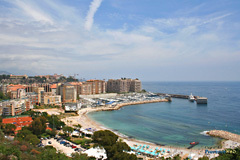 Cap d'Ail harbour covers an area of 47,000 mÂ² and provides 253 berths. Regattas and sea festivals are organised during the holiday season, attracting many visitors. 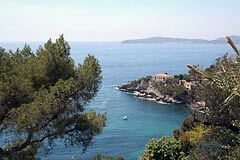 There is a superb walk in an unspoilt bucolic setting along the coastal path (sentier du littoral). This walk (approximately 4 km), will take you from Marquet beach to Mala beach, passing through the pine forest and looking down on the waves crashing against the cliffs and rocks. 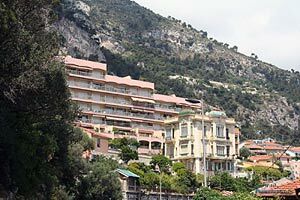 Right beside the sea is the Sacha Guitry park which has been laid out in terraces beside the villa that used to belong to this famous author. 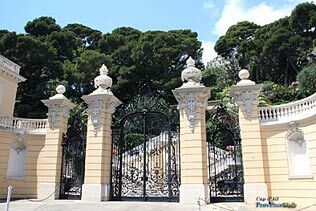 Moreover he is not the only one to have been enchanted by Cap d'Ail. Its 5km of coastline have charmed many other personalities: the Prince of Wales, the Tsarevitch, the Lumiere brothers, Greta Garbo, Apollinaire, and of course Cocteau ! Saracen tower. Chateau de L'Ermitage. 19thc. Lumiere manoir (No visits). Beaches, fishing, nautical center, scuba diving, yachting. Climbing, tennis, mountain biking, hiking. Theater, concerts, exhibitions, media library. Promenade Parc Sacha Guitry. Shady walking trails. Entertainment and festivals all year long. Concerts of religious music and classical music. Jazz Concert : Cap Jazz (August). Regattas. Festival of the Sea. Antiques. 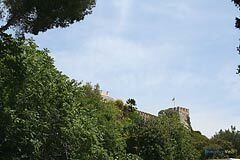 Eze (1km), Beausoleil (1km), Beaulieu (11km).